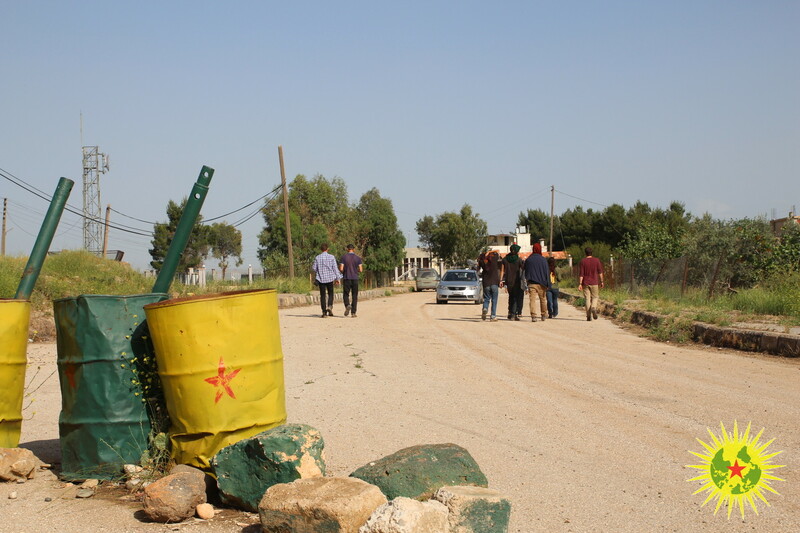 Some members of the Internationalist Commune Rojava, made a little trip to Ediwere, a village wich is very close to the turkish border. 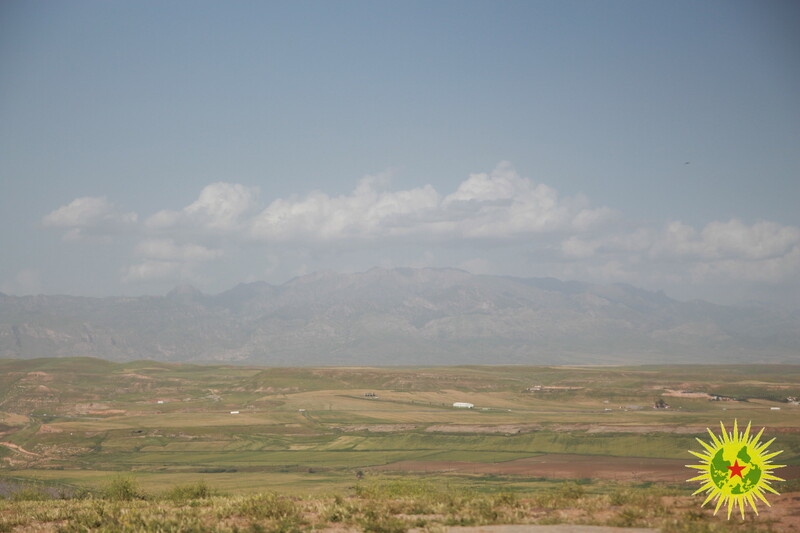 From the brink of the village we have seen the ugly wall, wich divides Kurdistan. Behind this wall is located the river Dicle (Tigris) as well as the city Cizre and behind this you can see the big and beautiful mountains of Bakur, the northern part of Kurdistan. It was not possible for us to take pictures from the Dicle or the border because sometimes the turkish soldiers shoot on persons who do this. After that we visited the commune of the village, talked with some people there and drank cay. They told us, that they are since two years not able to farm on their land at the Dicle because the turkish soldiers shoot on them if they go there. 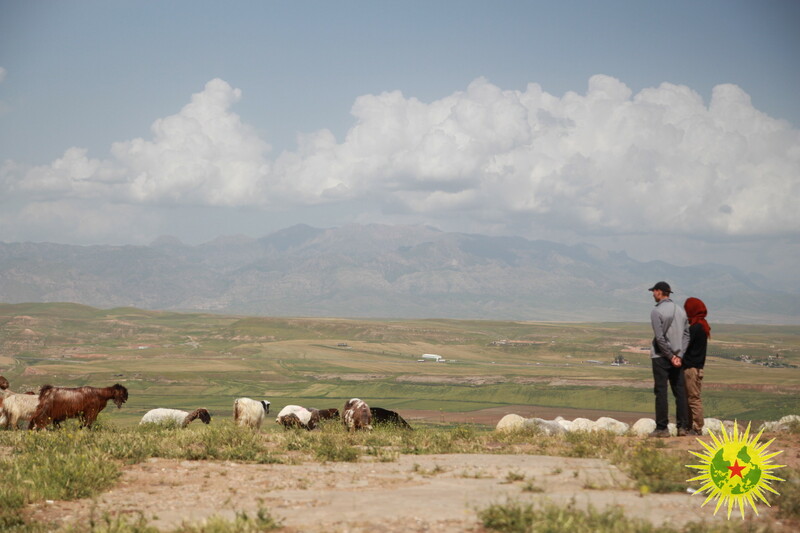 The fields at the Dicle were very important for them because of the fertile soil there and the closeness to the water. Every family has had a little part of land there for farming. Therefor its especially a problem for them that they cannot go there. They also told us, that the village was bigger before. The border divided it in two parts. 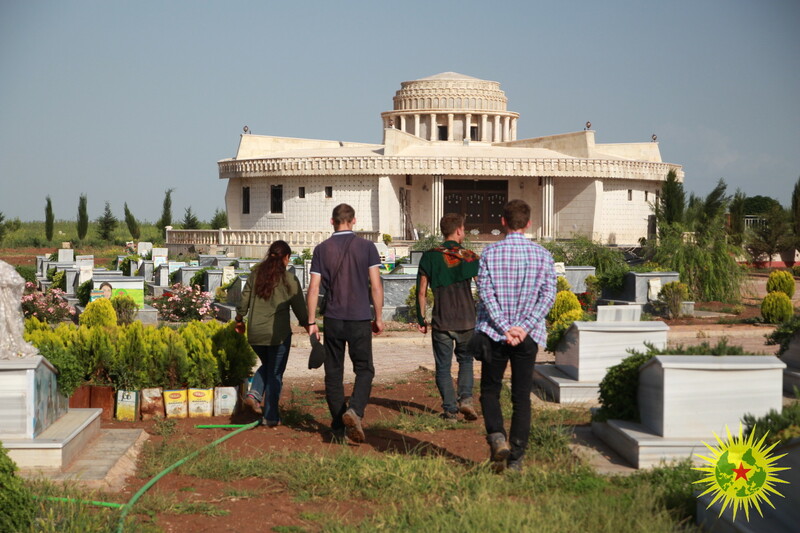 On the way back to the commune we also visited the şehidlik of Derik, wich is the cemetery for the fallen soldiers of all military structures as well as for the members of the Asayiş. 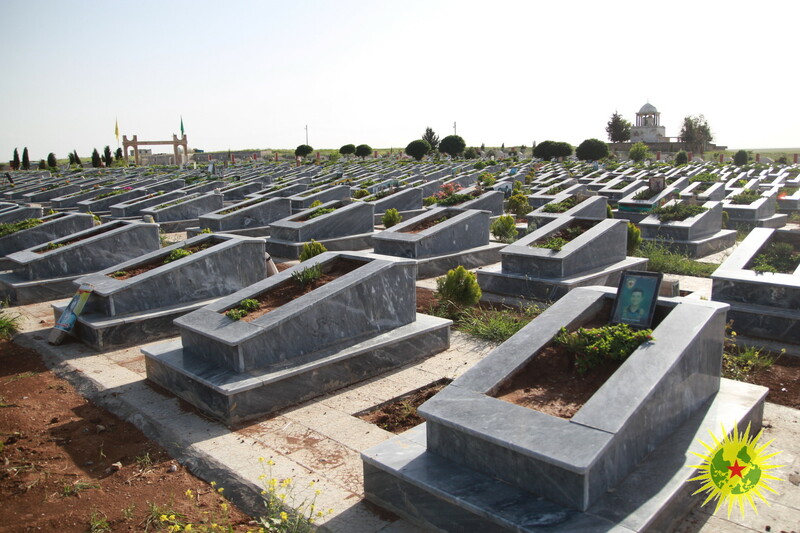 Also some international fighters like Şehid Legerin (Alina Sanchez) are buried there. 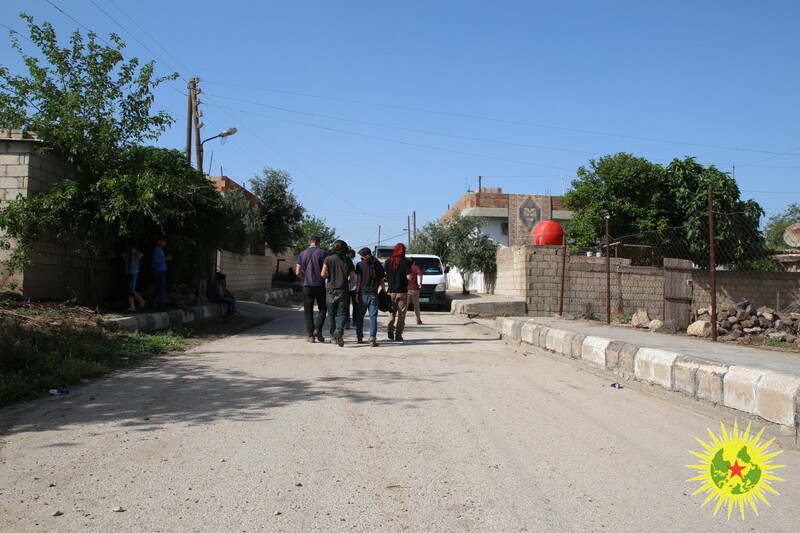 It is very impressive to see how much people only from the area around Derik give there live for the revolution in Rojava and to imagine what this means for the society. All this people felt in the fight against fascism and the capitalist patriarchy. It is our task to continue their fight in different forms.